Or, get it for 8000 Kobo Super Points! 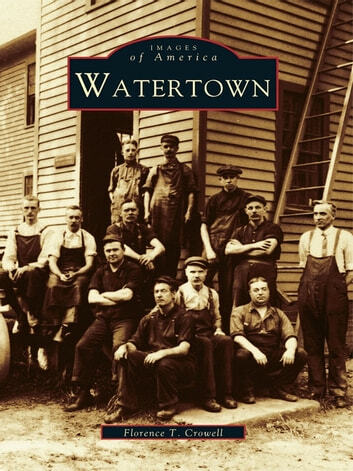 Here, in stunning images and stirring narrative, is the history of Watertown, a community that lies near the center of western Connecticut. The town was once part of Mattatuck, a tract of land purchased from the Paugasett Indians in 1684. The fertile area first attracted Farmington residents, who settled down to farm the land. It was not until 1722, however, that the first sawmill was built. In time, new settlers joined the earlier families and, by 1739, they formed the parish of Westbury, which in turn was incorporated as Watertown in 1780. With more than two hundred unforgettable pictures, Watertown highlights the local men and women, buildings and churches, and neighborhoods and businesses that are the essential element of the town's lively history. It shows some of the nine one-room schoolhouses that children attended. It features the Taft School, a preparatory school for boys opened by Horace Taft in 1893; Mrs. Parke and her strange museum; and tavern keeper and farmer James Bishop. It proudly displays some of the firsts for Watertown: Merrit Heminway winding thread on spools, Wheeler-Wilson developing the lock-stitch sewing machine, and the Watertown Manufacturing Company designing and producing Lifetime Ware.